Easily seat up to three more with this 68-inch pew-style dining bench crafted with acacia veneers in a dark ash finish. Round out your dining room with a convenient, unexpected piece, like the Stone bench. Measuring over five feet in length, this pew-style bench provides comfortable, shared seating space for three. 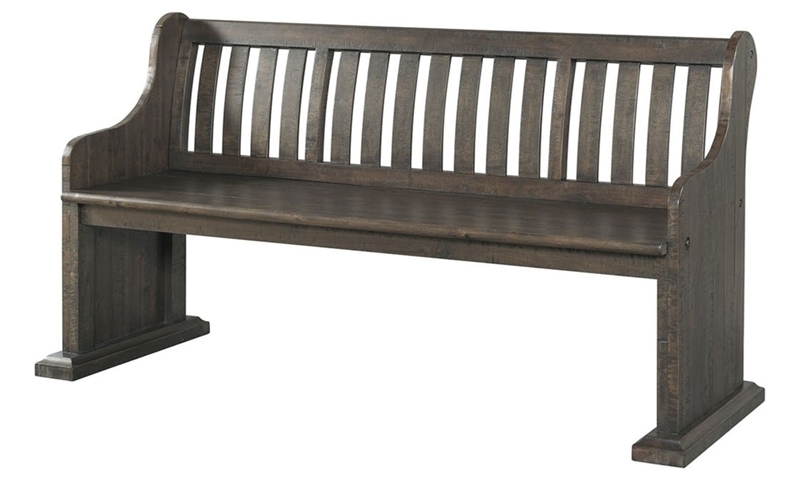 A lath back design and dark ash finish give this bench a casual, versatile look that’ll fit in seamlessly with most décor styles.